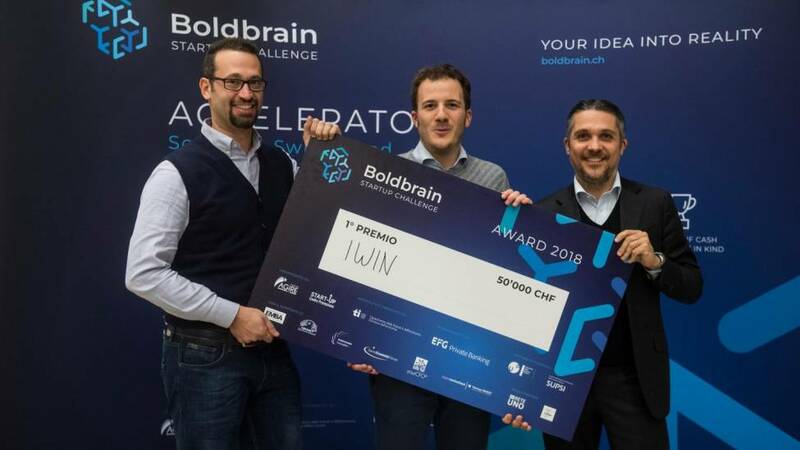 Boldbrain Challenge is a new accelerator program in Ticino organized jointly by Fondazione Agire and Centro Promozione Start-Up USI. 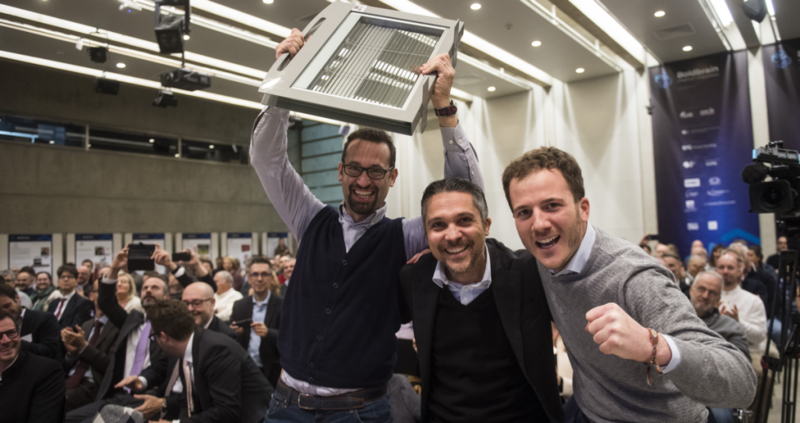 Yesterday at 18:00, the first edition was concluded with an award ceremony at the Aula Magna at Università della Svizzera italiana. The event attracted 400 participants. The winner of 50.000 CHF and of the fulll EMBA Scholarship is i-Win. In the last two years, the team has developed an innovative window solution to integrate flexible thin film photovoltaic cells into venitian blinds that are enclosed inside an insulating window. The solution protects buildings from overheating in summer and solar radiation, and at the same time, it produces renewable electricity. Although the start-up has not been incorporated yet, the team has already achieved the first important milestones regarding the marketing of the solution.